Educational design in Dubai involves the conceptualizing and constructing of educational institutions, ranging from small day schools to sprawling residential institutions. The main considerations in this type of design are taking into account the type of institution while designing the layout and interiors. For instance, a primary school would be different from a fashion designing school. Education design lays emphasis on the keeping track of latest trends and practices in schools and basing the design on these to enhance the teaching and learning experience. The design should facilitate seamless curriculum delivery and optimize the student learning experience. Just like other types of design, education design is heavily influenced by new trends in the field. 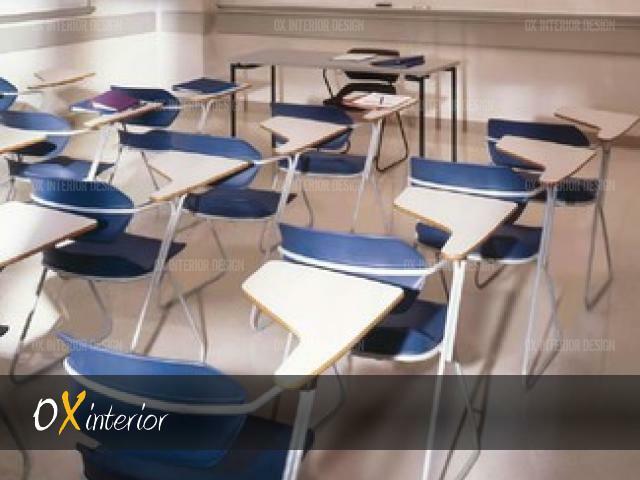 Schools across the world are becoming more and more innovative and ambitious in their layout and interior design. The competition in this field has skyrocketed in the past few years, with each new school raising the bar of ‘state-of-the-art’ a little more. An education designer needs to take into consideration the demography of the school to base the design on. Depending on the age and other social factors, the design will be different. The number or expected number of students will decide the size of classrooms and dining areas. Usually, the internal landscape of the organization or institution is student-centered. It supports their experiences through openness. Transparency in design is also something that is imperative when it comes to educational design. The space is designed in such a way that it becomes very user-friendly for students and staff for both recreation and work. These designs are complemented by building, blends of vibrant public spaces along with quite and calm classrooms and study areas. Educational designs in Dubai have a brilliant way of building libraries. They libraries are built such that it is a mix of both places, students can also study in the library rather than being able to only use books. There is also place built for social gatherings and other activities. Educational Design in Dubai is mostly an integration of writing surfaces, educational materials and display materials that are an integral part of the architecture. The whole project of educational design will make everyone feel that architecture is a very important part of learning. When students are motivated in a space, the credit goes to the surroundings. Hence, it has become very important these days to keep in mind the aspect and importance of employing a good service provider for educational design in Dubai and UAE. Educational designs in Dubai normally include dynamic geometrical shapes. The colors are chosen in such a way that they soothe the surroundings and make the environment relaxing and calm. The designs are carefully chosen to suit what the next generation students are seeking in an institution or school. This type of designing mostly includes traditional site master planning, interior space planning, value engineering and classroom designs etc. So grab this opportunity when you are close to a service that provides exactly what you are looking for. In fact, it will deliver more than what you require and let you happiness have no boundaries when it comes to educational designs.